Here’s the perfect Personalized Valentine’s Day Gift Set for someone you love. Huggable life size mocha brown teddy bear Sunny Cuddles (you select the bear size) is delivering a sweet love letter with your personalized message laser engraved on the front. 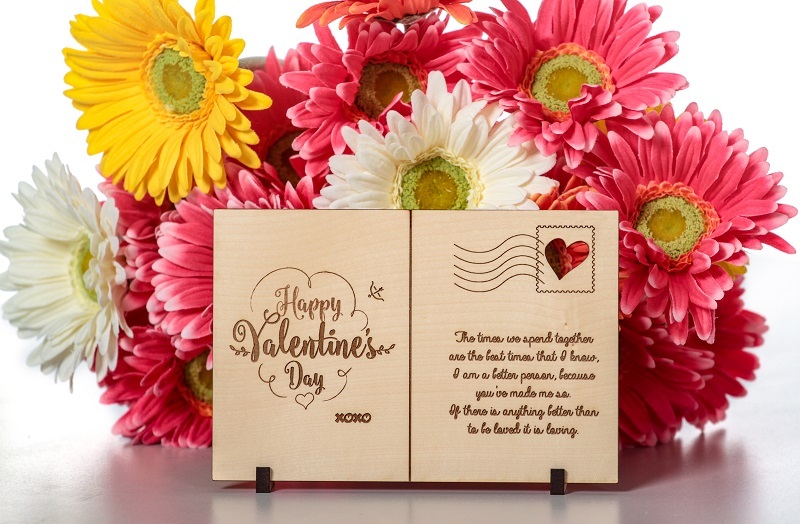 We’ve designed this beautiful maple wood keepsake to look like a Valentine’s Day postcard. This unique Valentine’s Day gift will last forever – just like your love! *Please use menu to choose your teddy bear size, and follow directions for wooden plaque personalization. Premium Luxury Quality – The Cuddliest, Softest Bear Ever! *Due to the personalized engraving details on this gift set, please allow 1-2 additional order processing days. Please check personalized message spelling carefully.